Brilliant :"Love this for my wee terrier. He's very nose and loves looking out at everyone. Very easy to attach to bike and does exactly what I want it too. 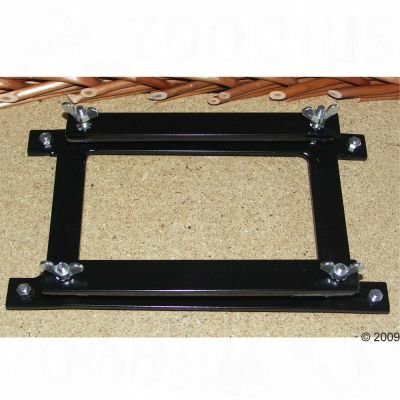 Brilliant purchase "
Delivery in 3-6 working days ...more All prices include tax., Additional shipping costs may apply. 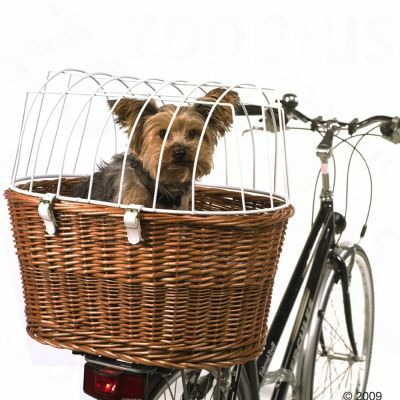 This bicycle basket and plastic guard from Aumüller will ensure your pet is in good hands, allowing you to enjoy cycling together. 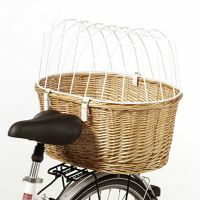 The high quality, handwoven bicycle basket for dogs is made from European wicker. 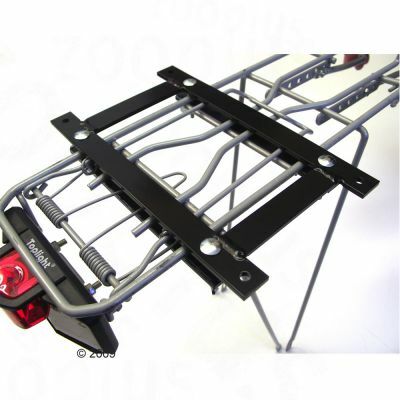 The stable luggage rack bracket can be attached to the bottom of the basket and can also be used on e-bikes. 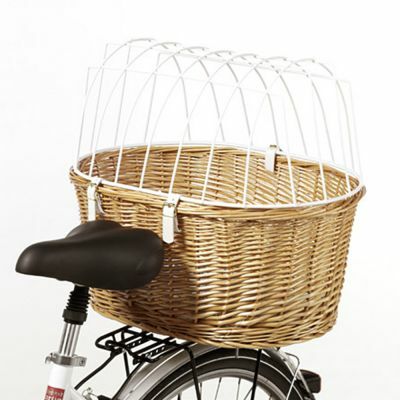 Since the basket is entirely made by hand, slight differences in size cannot be avoided. 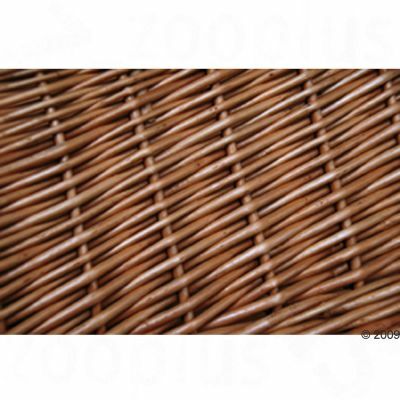 Should the wicker basket become wet, it will need to be stored somewhere dry and well ventilated to dry out properly. 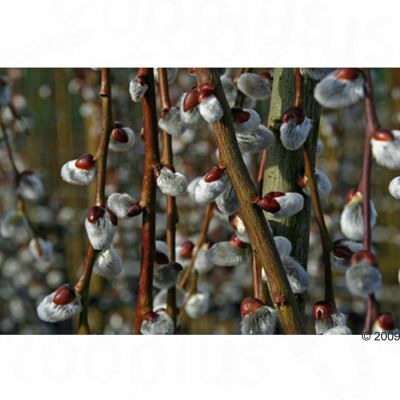 Wicker is a 100% natural product. ORDER CAME WITHIN A COUPLE OF DAYS,I WAS OUT WHEN DRIVER CAME SO HE CAME BACK WITH IT LATER ! 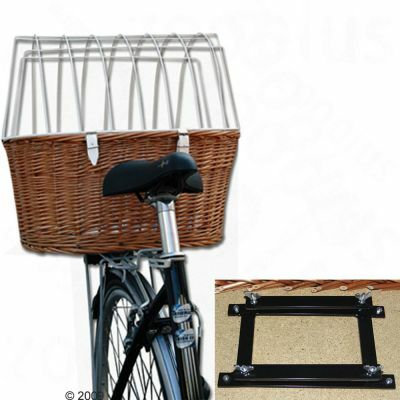 (VERY KIND OF HIM) FITTED THE BASKET ONTO MY BIKE IMMEDIATELY WHICH WAS VERY EASY, PUT A SMALL CUSHION IN FIRST THEN MY JACK RUSSELL AND OFF WE WENT..... BRILLIANT !! VERY PLEASED (AS WAS POPPY) I WOULD DEFINATLEY RECOMMEND THIS BASKET. Plenty of space for Bertie, our large JRT and he took to it like a duck to water. Plently of smiles from the visitors to our Hastings sea-front in East Sussex and a hound who couldn't keep up with the range of high speed sniffs! Recommended to all plus a trip to the Dog's Biscuits in Norman Road, St Leonards. Brought large size for my westie, fits in it no problem if anything could have done with the next size down. He absolutely loves it and can now accompany us wherever we go. needs two people to get him in and out due to the weight on the bike, and have to remember to use the back brake more than the front as bike is top heavy! Took a long time to initially fit this, but managed it by rotating the handlebars round, but the bracket is so descrete when the basket is not in use.